Winter is here in Boston. Lucky us. 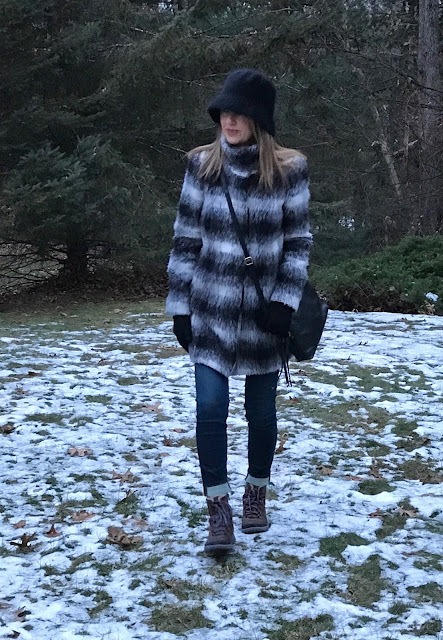 I can't say that I like the cold weather. Actually I hate it. 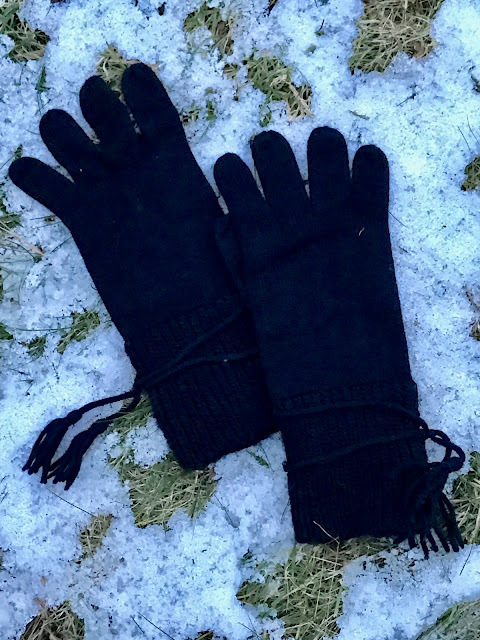 I suffer from Raynaud's Disease, which basically means extremely cold hands and feet. Winter is brutal for me, so I have to bundle up. 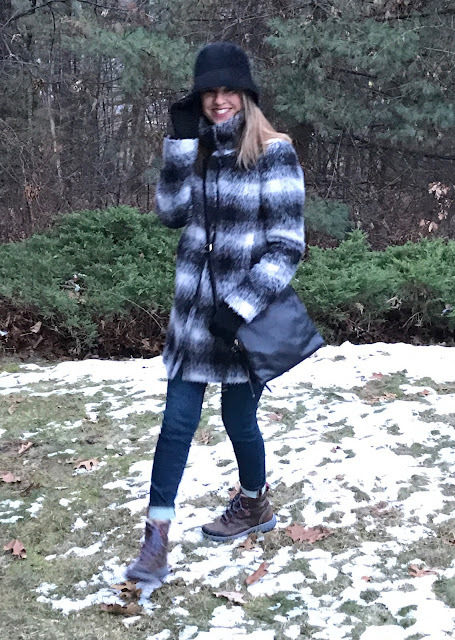 This cozy coat is super warm and I love the plaid pattern. I bought it last year at Ann Taylor...here are some very similar styles below. Click on each photo for shopping details. 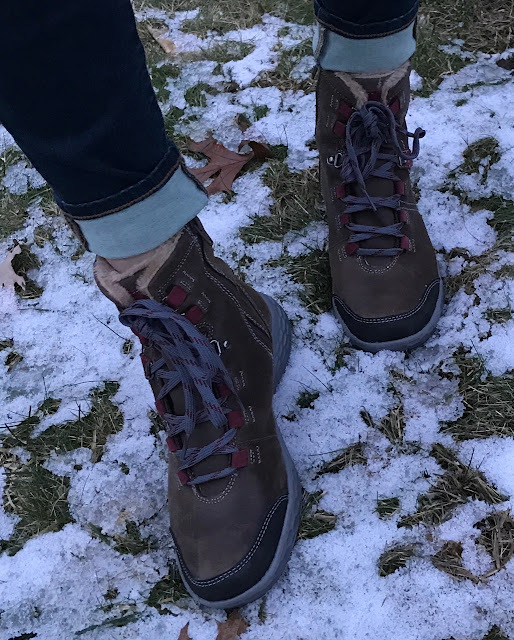 My feet get sooooo cold, but these Rockport Cobb Hill boots are toasty and AMAZINGLY comfy (honestly, like sneakers!). Plus they're waterproof, so I don't have to worry about cold AND wet feet! I love the side zippers because I don't have to tie them (lazy I know!). 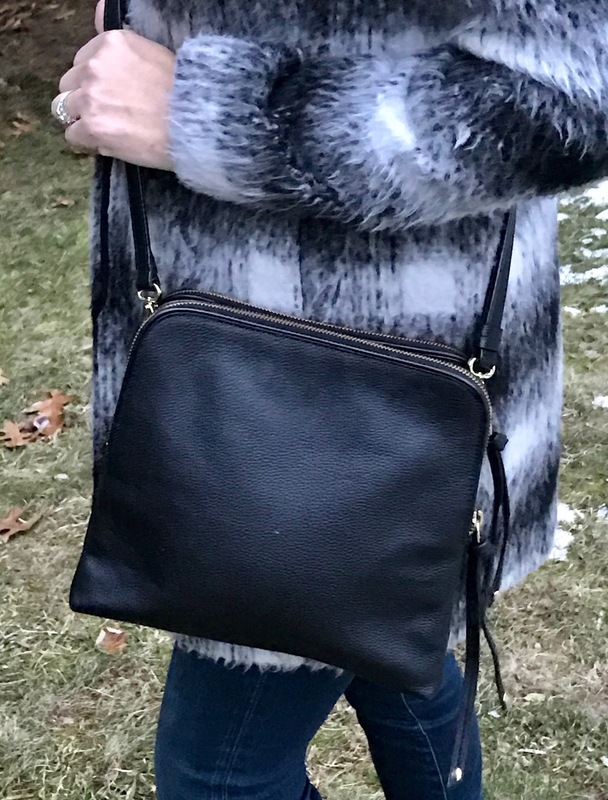 A simple black cross body bag keeps thing comfy and casual. 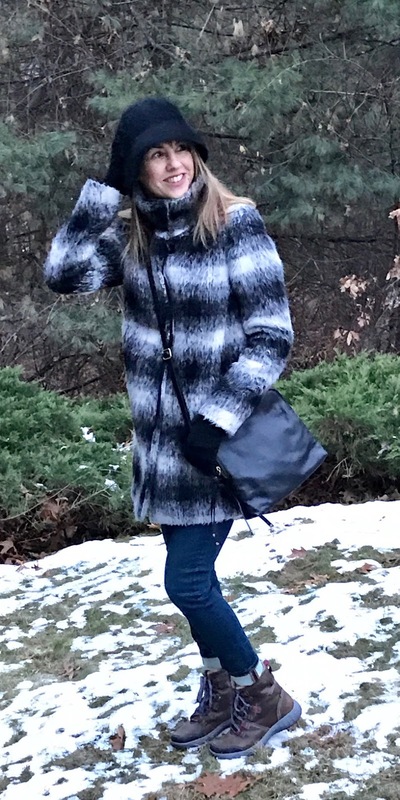 Check out this similar style and this one for under $40.00. and knit gloves are the finishing touches (love these too!). 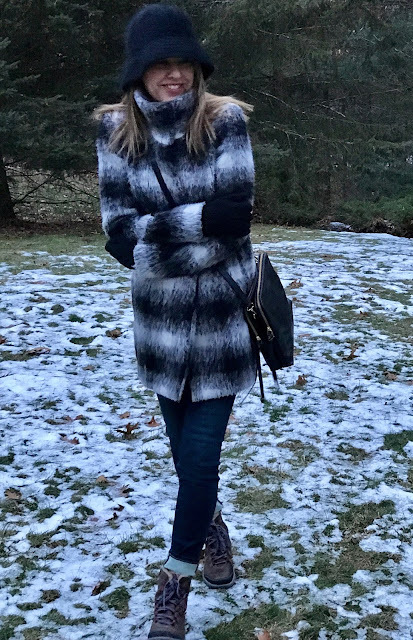 Even though I'm smiling, I am NOT looking forward to winter! Any Floridians want a live-in wardrobe stylist for a few months? Rockport boots were gifted and some links in this blog may generate a small commission. However, the content of my posts are based on my own honest opinions and are not in any way influenced by partnerships. You look cozy and warm. Sorry about your cold hands and feel problem. Maybe you should move to California, Dear, so you'll be warmer and we can go shopping together! Happiest of holidays to you and yours and thanks so much for sharing with Fun Fashion Friday!